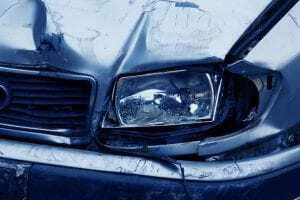 Farmington, NY (October 4, 2018) – More details have become available in regards to an accident that left five people injured on Wednesday night, October 3, in Farmington. The Farmington Fire Department has now reported on the crash that occurred on Fox Road and Route 28. According to statements released by the fire department, three people were riding in an SUV while two individuals were traveling in a smaller car when they became involved in the accident. Both vehicles sustained major damage during the crash which also caused the car involved to flip over onto its roof. Emergency crews were immediately called to the scene of the crash in order to assist any injured victims. The driver of the vehicle that overturned had to be transported to Strong Memorial Hospital via Mercy Flight, while the other four injured parties were taken to a local hospital by ambulance. While some further details pertaining to the vehicles involved have been released, police are still uncertain as to how the crash occurred. Authorities are actively conducting a thorough investigation. Above all else, we would like to offer our deepest sympathies to the victims of this accident as we warmly wish for their full recoveries from all injuries. There is often nothing more traumatic than the consequences of a sudden and unexpected car accident. A car accident in New York can be entirely life-changing, and it is utterly crucial to understand that you have rights during this overwhelming time. Obtaining a compassionate and motivated New York accident attorney can help ease your mind and assist you through a stress-free recovery. At Hach & Rose, our gifted attorneys care about the rights of victims who have been injured by the negligent actions of another party. If you have been hurt in a New York car accident that was not your fault, please call us at 212-779-0057 and let us put our experience to work for you.